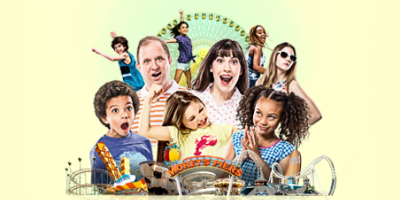 Enjoy re-imagined boardwalk classics in a family-friendly atmosphere overlooking Wildwood's award-winning beaches and Morey’s Mariner’s Pier. With a brand-new menu for the 2018 season, Jumbo's Grub & Pub offers a variety of food options. Wilhelm's Bier Garten joins our exceptional collection of drink and dining establishments on Mariner's Pier. Beach ★ Bar ★ BQ Where surfers, beach-goers, BBQ lovers, and locals all go to hang out on the beach. Laid back with a dog-friendly beach area, it’s the perfect spot to quench your thirst, satisfy your appetite, and soak up some rays. Up and at 'em! Start your Jersey Shore morning right, with our exclusive and unique “Ferris Wheel Breakfast." Imagine a picnic in the sky complete with white linens and china with culinary delights created by our Executive Chef, Wally Jurusz.